hahaha. I pass by there all the time, and now that I think about it, I’ve seen that there for a while. somebody please photoshop this and change the “s” for an “al”. 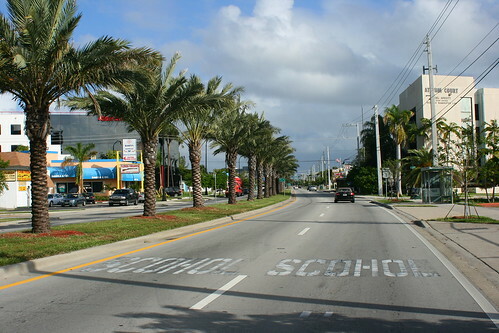 well there is this one school in north miami beach, that it actually read “sochool” but within the last year they fixed it. it might be some sort of andre the giant OBEY type of merry pranksters. In 2001, a local artist installed his own freeway sign (those huge green ones) in downtown LA after he decided the real ones weren’t informative enough.It was such a perfect match that nobody noticed it was a “fake”.